Envelope yourself in the appropriate colors for any Elemental, Planetary, or Sephirotic Working. See details below. 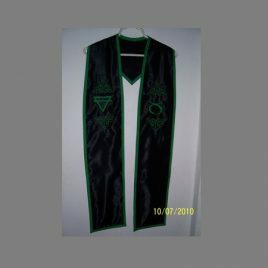 Basic color stole is bordered in the flashing color. Choose cotton or satin stole. 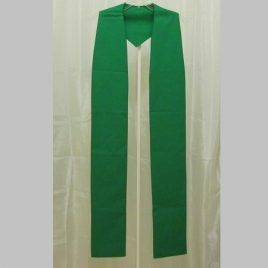 Elegant basic satin stole. Extremely versatile! Use for any Elemental, Planetary, or Sephirotic Working. This full length stole will take your breath away. 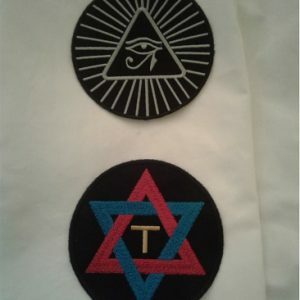 Top level of embroidery has the sun with ARARITA underneath on one side and hexagram with YHSVH underneath on the other. 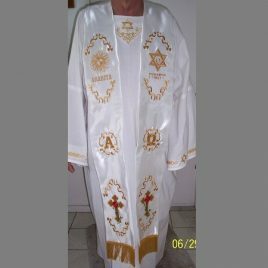 Middle embroidery is Alpha and Omega. 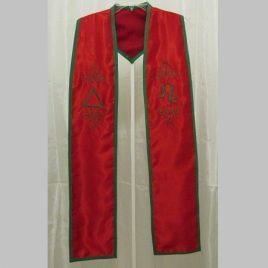 Bottom of stole has rosey cross on each side. Gold embroidery and 4 inch fringe. 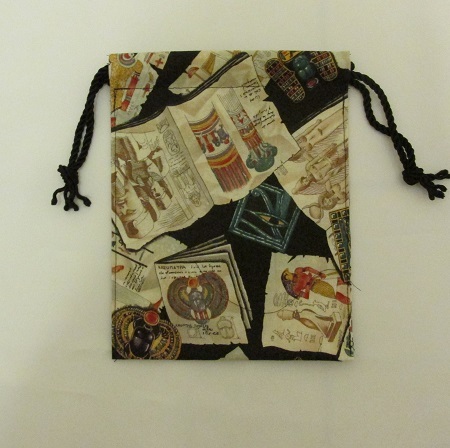 Suitable for all Adept workings as well as for the Chief Adept in the Portal Ritual. 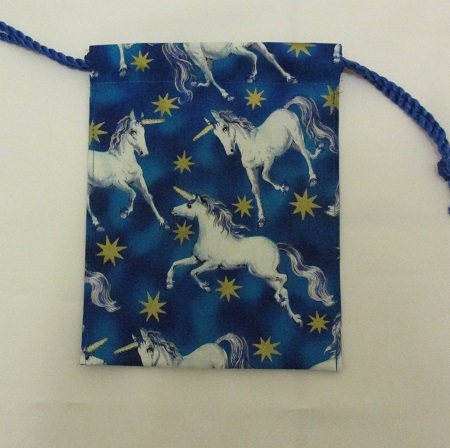 It has many uses...use your imagination...you're a Magician! Clothe yourself in the colors of the elements! 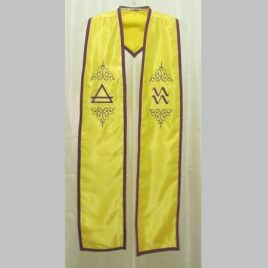 Embroidered designs of the elemental triangle and the Kerubic sigil cascade down the sides of the stole. 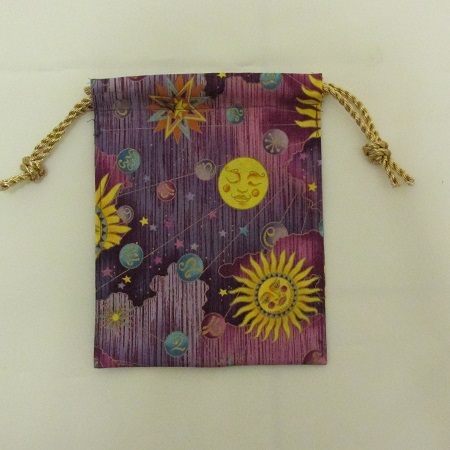 Stunning yellow satin is embroidered and bordered with violet. Appropriate for any personal work involving the element of air, consecrating an air dagger, as an alternative to tabards in the Portal Ritua, or to adorn Elemental Officers in any group setting. Clothe yourself in the colors of the Elements! 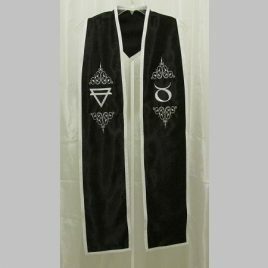 Embroidered designs of the elemental triangle and the Kerubic sigil cascade down the sides of the stole. 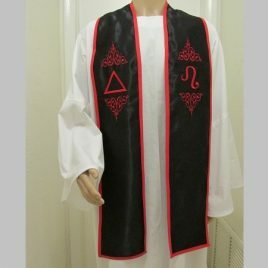 Black is used to represent the element of earth with white embroidery and trim. 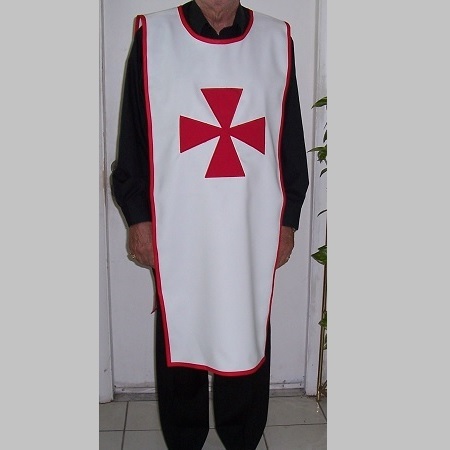 Excellent attire for any personal work involving the earth element, consecrating an earth pantacle, as an alternative to tabards for the Portal Ritual, or the adorn Elemental officers in any group setting. Another version of the Element of Fire Stole. Stunning red embroidery and trim against a black satin background. 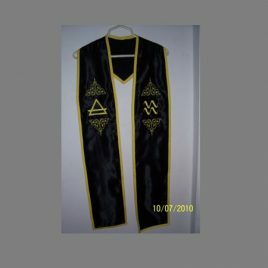 Elemental triangle and Kerubic sigils cascade down the sides of the stole. Appropriate for personal work with the Element of fire, consecrating objects, or to adorn Elemental Officers in a group ritual. Clothe yourself in the colors of the Elements! 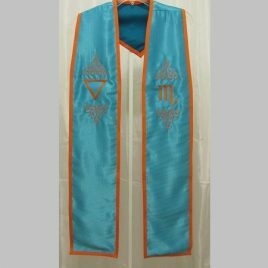 Stunning blue satin stole with embroidery and trim in orange. 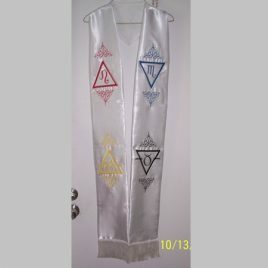 Designs of the elemental triangle and the Kerubic sigil cascade down the front of the stole. Appropriate for any personal work involving the element of water, consecrating a water cup, as an alternative to tabards for the Portal Ritual, or to adorn Elemental Officers in any group setting.